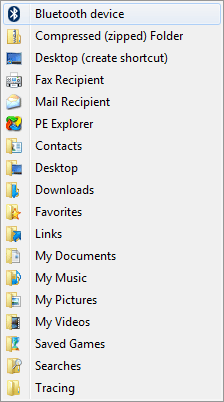 What many users do not know is that it is possible to expand the Windows 7 Send To menu by pressing Shift before right-clicking on a file or folder. Pressing the Shift key before right-clicking will expand the Send To menu with more than ten new entries like My Documents folders, Downloads or Contacts. Thanks to Drazen M. for sending this tip in.